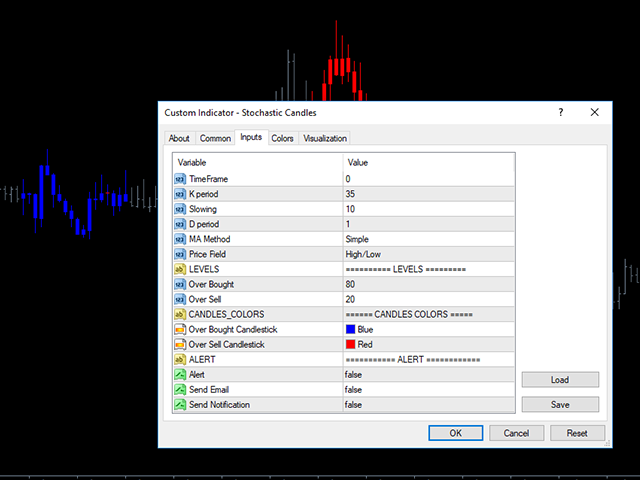 It will convert the stochastic indicator from separate window to the chart window by drawing oversold-overbought coloring candles. 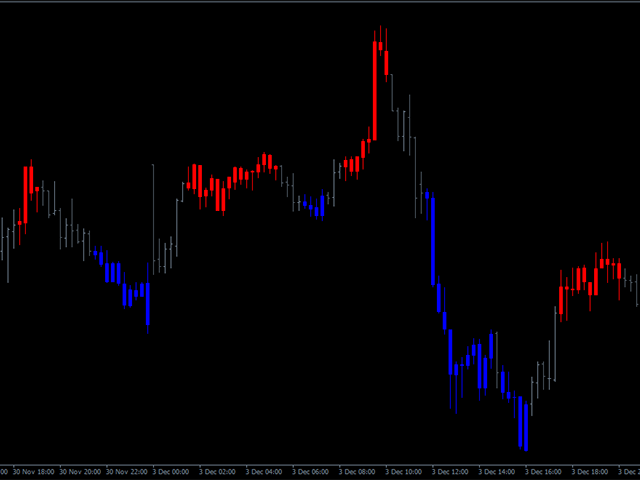 Red is overbought and blue is oversold by default.And you can change the color later on the external indicator setting.This is Multi timeframe indicator that means it can show appearance result from another timeframe.E.g: If you set timeframe H1 then it will draw candles from Timeframe H1 whatever timeframe you attach on. 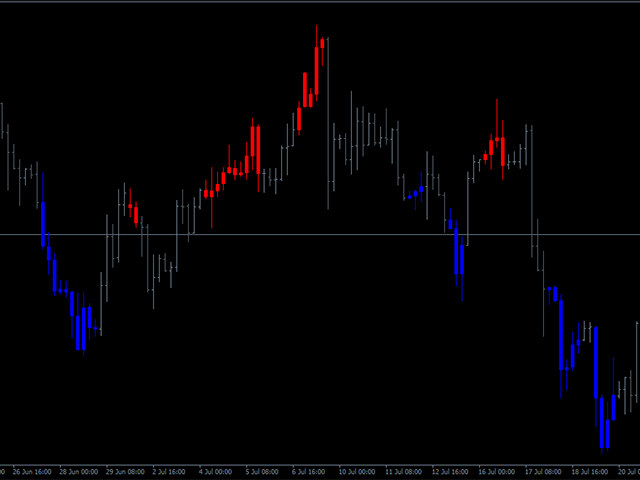 It will be useful for who want to use it and combined by other indicators because the chart will look easier to understand with a simpler look. 4. Candles color ,you can change the color in the external setting.